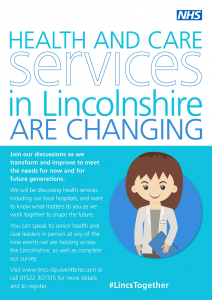 HEALTH AND CARE SERVICES IN LINCOLNSHIRE ARE CHANGING Join the discussions services are transformed and improved to meet the needs for now and for future generations. 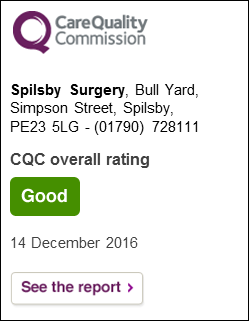 What is important to you as plans are developed for our health services for Lincolnshire, including our hospitals. You can speak to senior health and care leaders in person at any of the nine events being held across Lincolnshire, as well as completing a survey.